Students studying several health-care disciplines in Peace River to discover the advantages of living and working in northern Alberta. On September 22 and 23, 2018, Peace River hosted a Medical Skills Weekend event, sponsored by the Rural Health Professions Action Plan (Rh PAP), the Peace Regional Healthcare Attraction and Retention Committee, and Alberta Health Services. 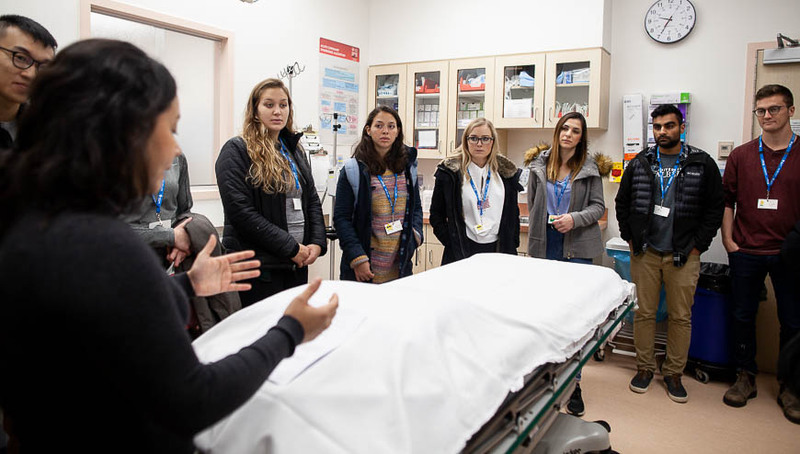 Over 50 Medical, Nursing, Practical Nurse, Physiotherapy, EMS, and Diagnostic Medical Sonography students from the University of Alberta, Grande Prairie, NAIT and Northern Lakes College experienced what it’s like to live and work in the Mighty Peace Region. 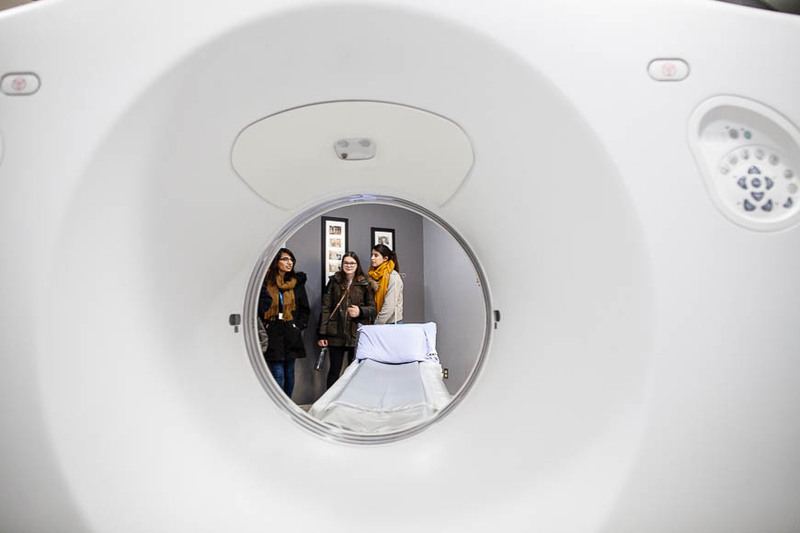 Students had a complete tour of the Peace River Community Health Centre as part of the weekend, including the CT scan room. The skills part of their visit focused on introducing students to the broad range of skills health professionals in rural communities are expected to use every day, including obstetrical skills, intubation, casting, IV starts, suturing, EMS, and a STARS Mobile Education unit simulation. RhPAP Skills Events also provide rural Alberta communities with an opportunity to make a positive impression on future health-care professionals through showcasing local amenities and attractions. Following a busy day of skills training, students were treated to a community roast beef supper and social event at the Athabasca Hall. On Sunday, students toured the Peace River Air Ambulance Base, visited a local farm, and wrapped up their tour with lunch at the Bouncy Pillow in Cecil Thompson Park. Students listen as a registered nurse shows off one of the Peace River Community Health Centre’s emergency rooms. 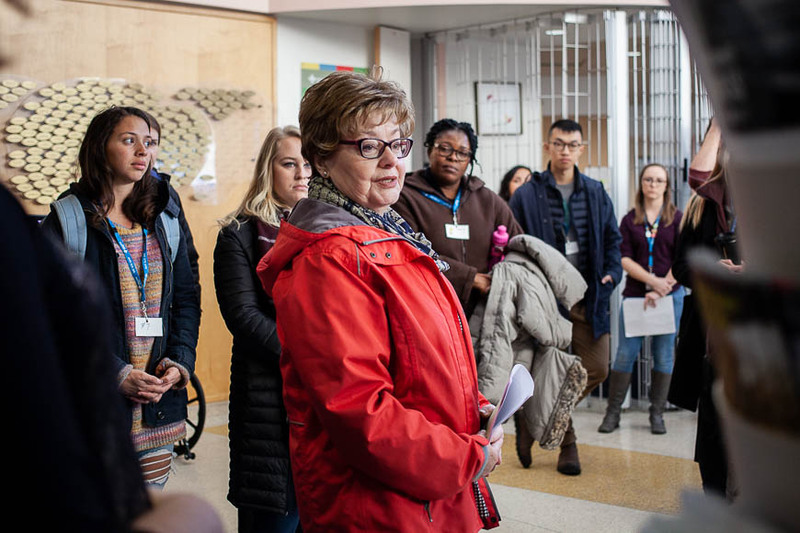 Peace River’s Deputy Mayor Elaine Manzer welcomes students at the start of a tour of the Peace River Community Health Centre. The Peace Regional Healthcare Attraction and Retention Committee is comprised of representatives from the Town of Peace River, County of Northern Lights, Northern Sunrise County, MD of Peace, Village of Nampa, Peace River Associate Medical Clinic, AHS, RhPAP, and Peace Region Primary Care Network.